As AME001, but in a fully wooden case made of mahogany. 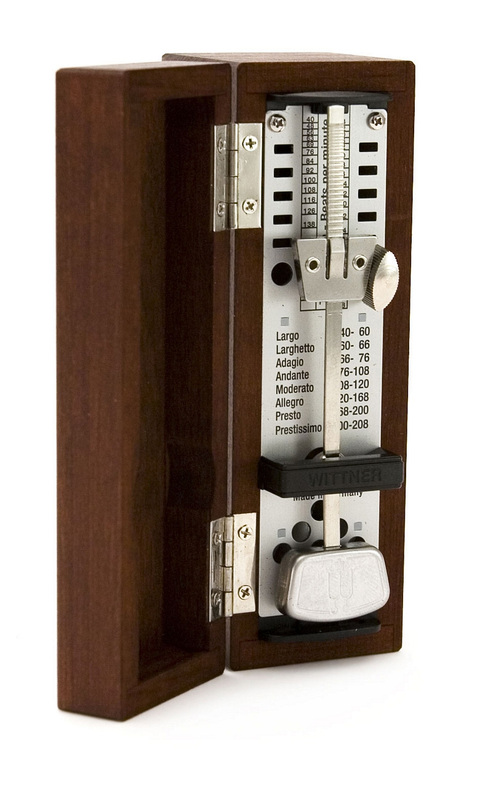 With a wind up mechanism and swinging pendulum the clear markings on the metronome show you were to place the weight for specific tempos. Stylish and easy to use.